Well, well, well, what do I have here? Another amazing chicken recipe! This one is just as easy! This sauce had the perfect amount of sweetness with the hidden hit of spice. 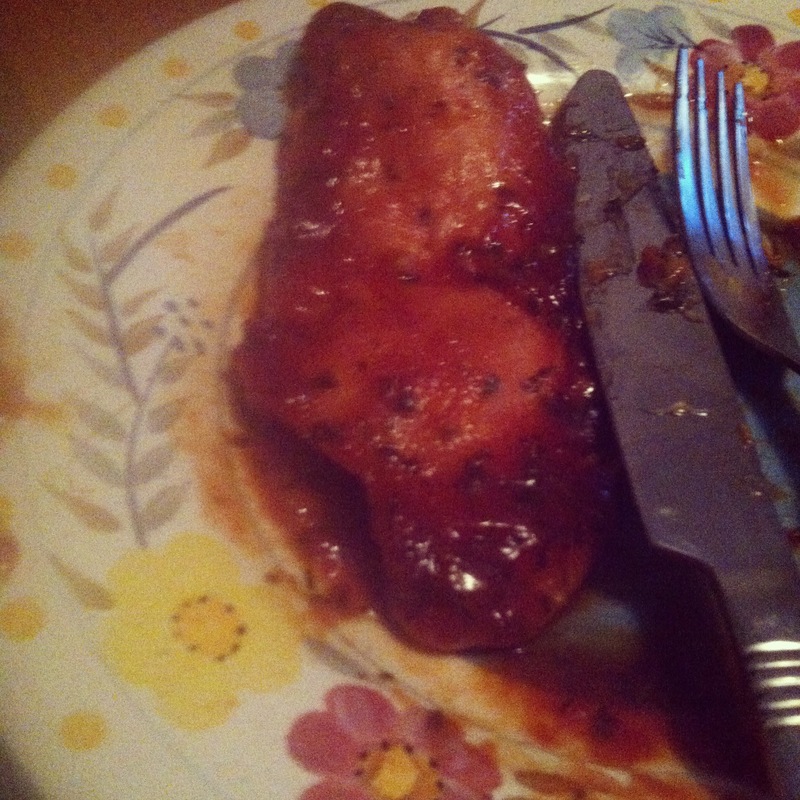 The chicken marinated overnight in the BBQ sauce, and then all I had to do was bake it the next day! With this chicken we had some corn-pinapple salsa (super delicious), salad and crescent rolls. It was one of my best meals yet, and I am so proud! I got this recipe out of a high school football cooking book. It’s super cute because players (current and alumni) submit their favorite recipes. It also has huge recipes for team dinners, and it also has a ‘football for dummies’ sort of chapter for the inexperienced moms. 3. Place chicken in pan and bake at 350, uncovered for 1 hour, basting often. Anyway, once again, I am OWNING at cooking right now 🙂 another win! Previous Post We got a puppy! Next Post Am I part of “The Following”?